The riveting and thought-provoking account of a contemporary Odyssey. Swiss-born Katja Meier, author of “Across the Big Blue Sea”. 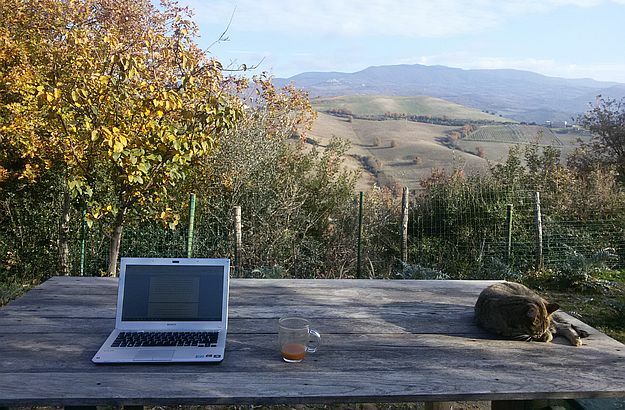 The breathtaking view from Katja’s writing table, in her olive grove. Seen here in the foreground: the pashmina mentioned in Katja’s book. 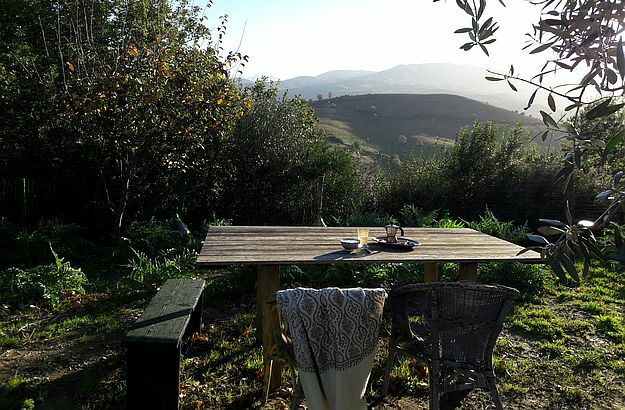 By now, dear followers, you are as convinced as I am that Italy is a dreamland, aren’t you? And I think I told you once that the bel paese is the country which boasts the highest number of World Heritage sites on the planet. But did you know that Dante’s homeland has also overtaken Greece as the principal port of entry of migrants trying to reach Europe? All of us have heard about the enormous migrant and refugee crisis which the Old Continent has been confronting over the last few years. 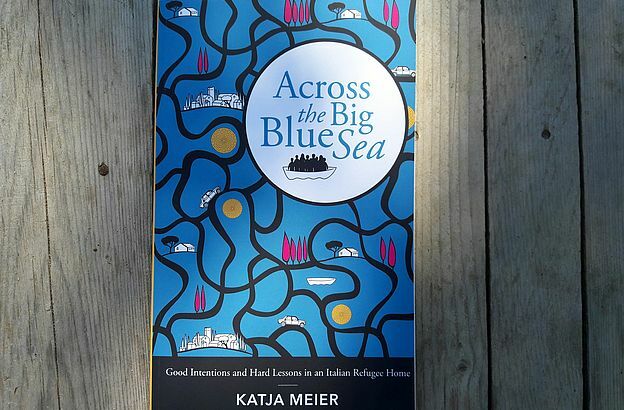 But Swiss-born Katja Meier, author of the recently published memoir Across the Big Blue Sea, has been at the very heart of this crisis since 2014; and the vivid, very personal account she gives in her book of her experience as head of a small refugee home in the Tuscan countryside is all at once riveting, informative and thought-provoking. 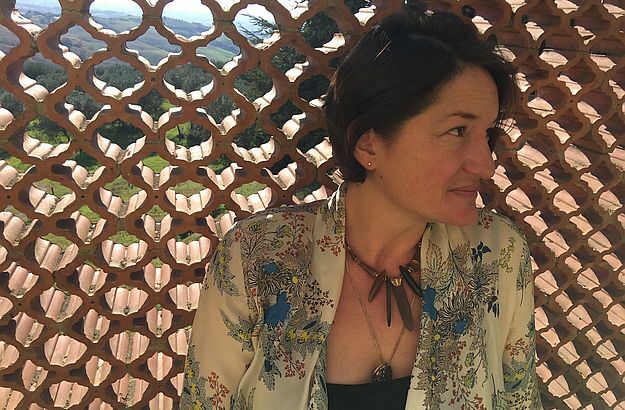 Endowed with multifarious skills and remarkable discernment, Katja Meier has been, over the last few years, a close friend of mine and a precious collaborator. Among other things, she has helped me with sourcing new information for my blog and efficiently managed our Trust&Travel Instagram account. 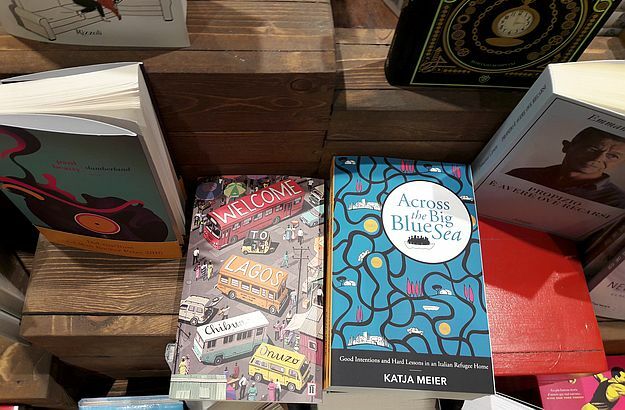 I am still filled with the characters, scenes, atmospheres and crucial issues which Katja cleverly tackles or depicts in her heartfelt and gripping memoir. If you are preparing your “to-read” list for the upcoming months, you ought to consider this finely penned book – which, by the way, bears this telling subtitle: “Good Intentions and Hard Lessons in an Italian Refugee Home”. Here’s the link to the little gem: Across the Big Blue Sea. Hats off to you, Katja!